After the PhD, Tom worked on high-speed networking research at GTE Laboratories (now Verizon) in Massachusetts, USA. He joined Southern Methodist University (Dallas, Texas) as an Associate Professor in Electrical Engineering. He was then appointed Professor in Networks at Swansea University, Wales, before joining City University London as a Professor in Cyber Security. PhD in Electrical Engineering, University of California, Berkeley, 1990. MS in Electrical Engineering, Massachusetts Institute of Technology, 1984. BS in Electrical Engineering, Massachusetts Institute of Technology, 1984. Professor in Cyber Security, City University London, 2013 - present. Professor in Networks, Swansea University, Wales, 2008 - 2013. Associate Professor in Electrical Engineering, Southern Methodist University, Texas, 1997 - 2008. Senior member of technical staff, GTE Laboratories (now Verizon), 1989 - 1997. Further information: Co-supervising the student jointly with Computer Science Department at Swansea University (where the student is resident). (2015). Terrorism Online. Routledge. ISBN 978-0-415-73288-8. Jarvis, L., Macdonald, S. and Chen, T.M. (2015). Terrorism online: Politics, law and technology. ISBN 978-0-415-73288-8. (2014). Cyberterrorism. Springer New York. ISBN 978-1-4939-0961-2. Chen, T.M., Jarvis, L. and Macdonald, S. (2014). Cyberterrorism: Understanding, assessment, and response. ISBN 978-1-4939-0961-2. Chen, T.M., Jarvis, L. and Macdonald, S. (2014). Preface. ISBN 978-1-4939-0961-2. Serpedin, E., Chen, T. and Rajan, D. (Eds. ), (2012). Mathematical Foundations for Signal Processing, Communications, and Networking. CRC Press. ISBN 978-1-4398-5513-3. Chen, T., Zhang, Y., Mao, S. and Yang, L. (Eds. ), (2008). Broadband Mobile Multimedia: Techniques and Applications. CRC Press (Taylor & Francis Group). ISBN 978-1-4200-5184-1. Chen, T., Zhang, Y., Mao, S. and Yang, L. (1995). ATM Switching Systems. Norwood, Mass. : Artech House. ISBN 978-0-89006-682-9. Al-Garni, T.M. and Chen, T.M. (2015). An updated cost-benefit view of cyberterrorism. Terrorism Online: Politics, Law and Technology (pp. 72–85). ISBN 978-0-415-73288-8. Chen, T. and Patil, H. (2013). Wireless sensor network security. In Vacca, J. (Ed. ), Computer And Information Security Handbook Morgan Kaufmann. ISBN 978-0-12-394397-2. Chen, T. (2012). Queueing theory. In Chen, T., Serpedin, E. and Rajan, D. (Eds. ), Mathematical Foundations for Signal Processing, Communications, and Networking CRC Press. ISBN 978-1-4398-5513-3. Chen, T. and Buford, J. (2011). Services in smart grids. In Prasad, A., Buford, J. and Gurbani, V. (Eds. ), Advances in Next Generation Services and Service Architectures River Publishers. ISBN 978-87-92329-55-4. Chen, T. and Jamil, N. (2011). A mathematical view of self-replicating malware. In Xiao, Y., Li, F. and Chen, H. (Eds. ), Handbook of Security and Networks World Scientific Publishing Co. ISBN 978-981-4273-03-9. Chen, T., Patil, H. and Wing, D. (2009). VoIP security. In Vacca, J. (Ed. ), Computer and Information Security Handbook Morgan Kaufmann. ISBN 978-0-12-374354-1. Chen, T. (2009). Guarding against network intrusions. Computer and Information Security Handbook Morgan Kaufmann. ISBN 978-0-12-374354-1. Chen, T. (2009). Identity theft through the Web. In Li, C. (Ed. ), Handbook of Research on Computational Forensics, Digital Crime and Investigation: Methods and Solutions IGI Global. ISBN 978-1-60566-836-9. Chen, T. and Fu, J. (2008). Protection of privacy on the Web. In Eyob, E. (Ed. ), Handbook of Research on Social and Political Implications of Data Mining and Information Privacy: Interdisciplinary Frameworks and Solutions IGI Global. ISBN 978-1-60566-196-4. Chen, T. and Chitnis, R. (2008). Protection against identity threats in early IP multimedia subsystem (IMS). IEC Annual Review of Communications International Engineering Consortium. ISBN 978-1-931695-59-6. Chen, T. and Patil, H.K. (2008). Authentication in Session Initiation Protocol. IEC Annual Review of Communications International Engineering Consortium. ISBN 978-1-931695-59-6. Chen, T. and Tally, G. (2008). Network worms. In Khosrow-Pour, M. (Ed. ), Encyclopedia of Information Science and Technology IGI Global. ISBN 978-1-60566-026-4. Chen, T. (2008). Information security and risk management. Encyclopedia of Multimedia Technology and Networking IGI Global. ISBN 978-1-60566-014-1. Chen, T. (2008). From circuit switched to IP-based networks. Encyclopedia of Multimedia Technology and Networking IGI Global. ISBN 978-1-60566-014-1. Chen, T. and Peikari, C. (2008). Malicious software in mobile devices. In Zhang, Y., Zheng, J. and Ma, M. (Eds. ), Handbook of Research on Wireless Security IGI Global. ISBN 978-1-59904-899-4. Chen, T. and Nguyen, N. (2007). Authentication and privacy. In Furht, B. (Ed. ), Encyclopedia of Wireless and Mobile Communications CRC Press (Taylor & Francis). ISBN 978-1-4200-4326-6. Chen, T., Kuo, G.-.S., Li, Z.-.P. and Zhu, G.-.M. (2007). Intrusion detection in wireless mesh networks. In Zhang, Y., Zheng, J. and Hu, H. (Eds. ), Security in Wireless Mesh Networks CRC Press. ISBN 978-0-8493-8250-5. Chen, T. and Tally, G. (2007). Malicious software. In Freire, M. and Pereira, M. (Eds. ), Encyclopedia of Internet Technologies and Applications IGI Global. ISBN 978-1-59140-993-9. Chen, T. (2007). Traffic control. In Freire, M. and Pereira, M. (Eds. ), Encyclopedia of Internet Technologies and Applications IGI Global. ISBN 978-1-59140-993-9. Chen, T. (2007). Network traffic modeling. in Handbook of Computer Networks Wiely. ISBN 978-0-471-78460-9. Chen, T. (2007). Network traffic management. In Bidgoli, H. (Ed. ), in Handbook of Computer Networks Wiley. ISBN 978-0-471-78460-9. Chen, T. and Davis, C. (2007). An overview of electronic attacks. In Nemati, H. (Ed. ), in Information Security and Ethics: Concepts, Methodologies, Tools and Applications Hershey, PA: IGI Global. ISBN 978-1-59904-933-5. Chen, T. (2006). An epidemiological view of worms and viruses. IEC Annual Review of Communications (pp. 401–403). International Engineering Consortium. ISBN 978-1-931695-53-4. Chen, T. and Davis, C. (2006). An overview of electronic attacks. In Kanellis, P., Kiountouzis, E., Kolokontronis, N. and Martakos, D. (Eds. ), Digital Crime and Forensic Science in Cyberspace Hershey, PA: Idea Group Publishing. ISBN 1-59140-872-5. Chen, T. (2005). Towards end-to-end security. IEC Annual Review of Communications (pp. 591–594). International Engineering Consortium. ISBN 978-1-931695-36-7. Chen, T., Elder, M. and Thompson, J. (2005). Electronic attacks. The Handbook of Information Security Wiley. ISBN 0-471-64833-7. Chen, T. and Roberts, J.-.M. (2005). The evolution of viruses and worms. In Chen, W. (Ed. ), Statistical Methods in Computer Security Marcel Dekker. ISBN 0-8247-5939-7. Chen, T. (2004). Intrusion detection for viruses and worms. IEC Annual Review of Communications (pp. 1249–1252). International Engineering Consortium. Chen, T. and Liu, S. (2002). ATM Switching. In Proakis, J. (Ed. ), in Wiley Encyclopedia of Telecommunications Wiley. ISBN 978-0-471-36972-1. Li, W., Mitchell, C.J. and Chen, T. (2018). Mitigating CSRF attacks on OAuth 2.0 Systems. Xu, Q., Gong, P. and Chen, T.M. (2014). Concatenated LDPC-TCM coding for reliable storage in multi-level flash memories. Gong, P., Xu, Q. and Chen, T.M. (2014). Energy harvesting aware routing protocol for wireless sensor networks. Chen, T. (2010). Survey of Cyber Security Issues in Smart Grids. SPIE Defense, Security and Sensing 4-9 April, Orlando. Chen, T. and Buford, J. (2009). Design of a honeypot for SQL injection attacks. 5th IEEE LCN Workshop on Security in Communication Networks (SICK 2009) October, Zurich. Chen, T. and Jamil, N. (2009). A mathematical view of network-based suppressions of worm epidemics. IEEE ICC 2009 14-18 June, Dresden. Chen, T. and Jamil, N. (2007). A Web-based network worm simulator. IEEE ICC 2007 25-27 June, Glasgow. Chen, T. and Jamil, N. (2006). Effectiveness of rate control in slowing down worm epidemics. IEEE Globecom 2006 27-30 November, San Francisco. Chen, T. and Jamil, N. (2006). Effectiveness of quarantine in worm epidemics. ICC 2006 11-15 June, Instanbul, Turkey. Chen, T. and Ko, J. (2006). A decision theoretic approach to measurement-based admission control. ICC 2006 11-15 June, Istanbul, Turkey. Chen, T. and ElAdly, H. (2004). Enhancing the support of multi hopping in an IEEE 802.11 ad-hoc network. 9th IEEE Symposium on Computers and Communications 29 Jun 2004 – 1 Jul 2004, Alexandria. Chen, T. and Zeng, Y. (2004). Measurement-based real-time traffic model classification. ICC 2004 21-25 June, Paris, France. Chen, T. (2004). An overlay algorithm to improve the support of multi-hopping in the IEEE 802.11 WLANs. ICC 2004 21-25 June, Paris, France. Chen, T., Sadek, N. and Khotanzad, A. (2004). Adaptive measurement-based admission control using neural network predictor. IEEE Canadian Conference on Electrical and Computer Engineering 2004 2-5 May, Ontario, Canada. Chen, T. and ElAdly, H. (2003). Performance modeling of overlapping IBSSs in the IEEE 802.11 DCF mode. 46th IEEE International Midwest Symp. on Circuits and Systems 27-30 December, Cairo, Egypt. Chen, T., Sadek, N. and Khotanzad, A. (2003). ATM dynamic bandwidth allocation using F-ARIMA prediction model. 12th International Conf. on Computer Communications and Networks 20-22 October. Chen, T. and Zeng, Y. (2002). Automatic classification of measured Internet traffic. IEEE Workshop on IP Operations and Management 2002 29-31 October, Dallas, Texas. Chen, T. and Tran, H. (2001). Theoretical network load limit when self-similarity has no adverse effect on the network. 2001 IEEE Workshop on High Performance Switching and Routing 29-31 May, Dallas, Texas. Chen, T., Liu, S. and Zhu, Y. (2001). Models and analysis of trade-offs in distributed network management approaches. 7th IFIP/IEEE Int. Symp. on Integrated Network Management 14-18 May, Seattle, US. Chen, T., Oh, T. and Kennington, J. (2000). Fault restoration and spare capacity allocation with QoS constraints for MPLS networks. IEEE Globecom 2000 27-30 November, San Francisco. Chen, T. and Wu, W. (2000). Multi-protocol lambda switching for IP over optical networks. SPIE Voice, Video, and Data Communications Symposium 6-8 November, Photonics East, Boston. Chen, T. (1999). Characterization of ATM on-off traffic from cell traffic measurements. 3rd IEEE Int. Workshop on Broadband Switching Systems 1-3 June, Kingston, Ontario, Canada. Chen, T. and Liu, S. (1999). Monitoring and control of strategic and tactical networks using control packets. 3rd Annual FedLab Symposium on Advanced Telecommunications/Information Distribution Research Program 2-4 February, College Park, MD. Sandoval, R.M., Garcia-Sanchez, A.J., Garcia-Haro, J. and Chen, T.M. (2018). Optimal policy derivation for transmission duty-cycle constrained LPWAN. IEEE Internet of Things Journal, 5(4), pp. 3114–3125. doi:10.1109/JIOT.2018.2833289 . Blasco, J. and Chen, T.M. (2018). Automated generation of colluding apps for experimental research. Journal of Computer Virology and Hacking Techniques pp. 127–138. doi:10.1007/s11416-017-0296-4 . Blasco, J., Chen, T.M., Muttik, I. and Roggenbach, M. (2018). Detection of app collusion potential using logic programming. Journal of Network and Computer Applications, 105, pp. 88–104. doi:10.1016/j.jnca.2017.12.008 . Al Azwani, N. and Chen, T. (2018). Cyber Deterrence by Punishment: Role of Different Perceptions. Cyberpolitik Journal, 3(5), pp. 62–75. Aly, A., Macdonald, S., Jarvis, L. and Chen, T.M. (2017). Introduction to the special issue: Terrorist online propaganda and radicalization. Studies in Conflict and Terrorism, 40(1), pp. 1–9. doi:10.1080/1057610X.2016.1157402 . Blasco, J., Chen, T.M., Tapiador, J. and Peris-Lopez, P. (2016). A survey of wearable biometric recognition systems. ACM Computing Surveys, 49(3). doi:10.1145/2968215 . Asavoae, I.M., Blasco, J., Chen, T.M., Kalutarage, H.K., Muttik, I., Nguyen, H.N. … Shaikh, S.A. (2016). Towards Automated Android App Collusion Detection. CoRR, abs/1603.02308. Alzubi, O.A., Chen, T.M., Alzubi, J.A., Rashaideh, H. and Al-Najdawi, N. (2016). Secure channel coding schemes based on algebraic-geometric codes over hermitian curves. Journal of Universal Computer Science, 22(4), pp. 552–566. Xu, Q., Gong, P., Chen, T.M., Michael, J. and Li, S. (2015). Modelling and characterization of NAND flash memory channels. Measurement: Journal of the International Measurement Confederation, 70, pp. 225–231. doi:10.1016/j.measurement.2015.04.003 . Gong, P., Chen, T.M. and Xu, Q. (2015). ETARP: An energy efficient trust-aware routing protocol for wireless sensor networks. Journal of Sensors, 2015. doi:10.1155/2015/469793 . Li, S., Oikonomou, G., Tryfonas, T., Chen, T.M. and Xu, L.D. (2014). A distributed consensus algorithm for decision making in service-oriented internet of things. IEEE Transactions on Industrial Informatics, 10(2), pp. 1461–1468. doi:10.1109/TII.2014.2306331 . Xu, Q., Chen, T.M., Hu, Y. and Gong, P. (2014). Write pattern format algorithm for reliable NAND-based SSDs. IEEE Transactions on Circuits and Systems II: Express Briefs, 61(7), pp. 516–520. doi:10.1109/TCSII.2014.2327332 . Chen, T., Guan, W., He, J. and Tang, Z. (2013). Design and evaluation of a framework for cooperative and adaptive QoS control of DSRC network for road safety applications. International Journal of Distributed Sensor Networks, 2013. doi:10.1155/2013/946931 . Olteanu, A., Xiao, Y., Liu, J., Chen, T.M. and Chen, C.L.P. (2013). Nonintrusive tracing in the Internet. Security and Communication Networks, 6(7), pp. 833–843. doi:10.1002/sec.616 . Chen, T.M. and Walsh, P.J. (2013). Guarding Against Network Intrusions. pp. 81–95. doi:10.1016/b978-0-12-394397-2.00005-2 . Kupwade Patil, H. and Chen, T.M. (2013). Wireless Sensor Network Security. pp. 301–322. doi:10.1016/b978-0-12-394397-2.00016-7 . Kupwade Patil, H., Wing, D. and Chen, T.M. (2013). VoIP Security. pp. 871–886. doi:10.1016/b978-0-12-394397-2.00050-7 . Olteanu, A., Xiao, Y., Liu, J. and Chen, T.M. (2012). Studying Non-intrusive Tracing in the Internet. Lecture Notes of the Institute for Computer Sciences, Social-Informatics and Telecommunications Engineering, LNICST, 74 LNICST, pp. 58–74. doi:10.1007/978-3-642-29222-4_5 . Chen, T.M. (2012). Network Traffic Management. pp. 340–353. doi:10.1002/9781118256107.ch22 . Chen, T.M. (2012). Network Traffic Modeling. pp. 326–339. doi:10.1002/9781118256107.ch21 . Chen, T.M., Sanchez-Aarnoutse, J.C. and Buford, J. (2011). Petri Net Modeling of Cyber-Physical Attacks on Smart Grid. IEEE Transactions on Smart Grid, 2(4), pp. 741–749. doi:10.1109/tsg.2011.2160000 . Chen, T., Sanchez-Aarnoutse, J.-.C. and Buford, J. (2011). Petri nets models for cyber-physical attacks in smart grid. IEEE Trans. on Smart Grid, 2, pp. 741–749. doi:10.1109/TSG.2011.2160000 . Abu-Nimeh, S., Chen, T. and Alzubi, O. (2011). Malicious and Spam Posts in Online Social Networks. Computer, 44(9), pp. 23–28. doi:10.1109/mc.2011.222 . He, J., Tang, Z., O'Farrell, T. and Chen, T.M. (2011). Performance analysis of DSRC priority mechanism for road safety applications in vehicular networks. Wireless Communications and Mobile Computing, 11(7), pp. 980–990. doi:10.1002/wcm.821 . Chen, T., O'Farrell, T., Tang, Z. and He, J. (2011). Performance analysis of DSRC priority mechanism for road safety applications in vehicular networks. Wireless Communications and Mobile Computing, 11, pp. 980–990. Chen, T.M. and Abu-Nimeh, S. (2011). Lessons from Stuxnet. Computer, 44(4), pp. 91–93. doi:10.1109/MC.2011.115 . Chen, T.M. (2010). Survey of cyber security issues in smart grids. Proceedings of SPIE - The International Society for Optical Engineering, 7709. doi:10.1117/12.862698 . Abu-Nimeh, S. and Chen, T. (2010). Proliferation and Detection of Blog Spam. IEEE Security & Privacy Magazine, 8(5), pp. 42–47. doi:10.1109/msp.2010.113 . Chen, T.M. and Wang, V. (2010). Web Filtering and Censoring. Computer, 43(3), pp. 94–97. doi:10.1109/mc.2010.84 . Chen, T., He, J., Chen, H.-.H. and Cheng, W. (2010). Adaptive congestion control for DSRC vehicle networks. IEEE Communications Letters, 14, pp. 127–129. doi:10.1109/LCOMM.2010.02.092002 . Abu-Nimeh, S. and Chen, T.M. (2010). Proliferation and Detection of Blog Spam. IEEE Micro, 12(6), pp. 46–57. doi:10.1109/40.180246 . Chen, T.M. and Buford, J. (2009). Design considerations for a honeypot for SQL injection Attacks. 2009 IEEE 34th Conference on Local Computer Networks. doi:10.1109/lcn.2009.5355040 . Jamil, N. and Chen, T.M. (2009). A Mathematical View of Network-Based Suppressions of Worm Epidemics. 2009 IEEE International Conference on Communications. doi:10.1109/icc.2009.5198629 . Zeng, Y. (2009). Classification of Traffic Flows into QoS Classes by Unsupervised Learning and KNN Clustering. KSII Transactions on Internet and Information Systems, 3(2), pp. 134–146. doi:10.3837/tiis.2009.02.001 . Chen, T. and Zeng, Y. (2009). Classification of traffic flows into QoS classes by unsupervised learning and KNN clustering. KSII Trans. on Internet and Information Systems, 3(2), pp. 134–146. doi:10.3837/tiis.2009.02.001 . Chen, T. and Walsh, P. (2009). Guarding Against Network Intrusions. pp. 53–66. doi:10.1016/b978-0-12-374354-1.00004-2 . Chen, T., Fu, Z., He, L. and Strayer, T. (2009). Recent developments in network intrusion detection [Guest Editorial. IEEE Network, 23(1), pp. 4–5. doi:10.1109/mnet.2009.4804317 . Jamil, N. and Chen, T.M. (2007). A Web-Based Network Worm Simulator. 2007 IEEE International Conference on Communications. doi:10.1109/icc.2007.245 . Chen, T. (2006). Looking back and ahead. IEEE Communications Magazine, 44(12), pp. 10–10. doi:10.1109/mcom.2006.273090 . Jamil, N. and Chen, T.M. (2006). NIS08-5: Effectiveness of Rate Control in Slowing Down Worm Epidemics. IEEE Globecom 2006. doi:10.1109/glocom.2006.306 . Chen, T. (2006). Worm epidemiology. China Communications, 3, pp. 27–31. Chen, T. (2006). Reader feedback loop. IEEE Communications Magazine, 44(6), pp. 12–12. doi:10.1109/mcom.2006.1668405 . Chen, T., Tally, G., Sames, D., Colleran, C., Jevans, D., Omiliak, K. … Rasmussen, R. (2006). The Phisherman project: creating a comprehensive data collection to combat phishing attacks. Journal of Digital Forensic Practice, 1(2), pp. 115–129. doi:10.1080/15567280601015564 . Chen, T. and Jamil, N. (2006). Effectiveness of Quarantine in Worm Epidemics. 2006 IEEE International Conference on Communications. doi:10.1109/icc.2006.255087 . Ko, J. and Chen, T. (2006). A Decision Theoretic Approach to Measurement-based Admission Control. 2006 IEEE International Conference on Communications. doi:10.1109/icc.2006.254796 . Rezaul, K.M., Pakstas, A., Gilchrist, R. and Chen, T.M. (2006). HEAF: A novel estimator for long-range dependent self-similar network traffic. Lecture Notes in Computer Science (including subseries Lecture Notes in Artificial Intelligence and Lecture Notes in Bioinformatics), 4003 LNCS, pp. 34–45. Chen, T. (2006). Serving the global communications community. IEEE Communications Magazine, 44(1), pp. 8–8. doi:10.1109/mcom.2006.1580923 . Chen, T.M. and Venkataramanan, V. (2005). Dempster-Shafer Theory for Intrusion Detection in Ad Hoc Networks. IEEE Internet Computing, 9(6), pp. 35–41. doi:10.1109/mic.2005.123 . Chen, T. and Venkataramanan, V. (2005). Dempster-Shafer theory for distributed intrusion detection in ad hoc networks. IEEE Internet Computing, 9, pp. 35–41. Sadek, N., Khotanzad, A. and Chen, T. (2004). Adaptive measurement-based admission control using neural network predictor. Canadian Conference on Electrical and Computer Engineering, 2, pp. 859–862. Eladly, H.A. and Chen, T.M. (2004). An overlay algorithm to improve the support of multi-hopping in the IEEE 802.11 WLANs. IEEE International Conference on Communications, 7, pp. 3817–3821. Zeng, Y. and Chen, T.M. (2004). Measurement-based real-time traffic model classification. IEEE International Conference on Communications, 4, pp. 1857–1861. Chen, T.M. and Robert, J.M. (2004). Worm epidemics in high-speed networks. Computer, 37(6). Chen, T. and Robert, J.-.M. (2004). Worm epidemics in high-speed networks. IEEE Computer, 37(6), pp. 48–53. doi:10.1109/MC.2004.36 . Chen, T. (2003). Trends in viruses and worms. Cisco Internet Protocol Journal, 6(3), pp. 23–33. Yamanaka, N., Chen, T.M. and Stuttgen, H.J. (2002). Guest editorial - trends in high-performance switching and routing technologies. IEEE Communications Magazine, 40(11), pp. 36–37. doi:10.1109/mcom.2002.1046990 . Chen, T.M. and Hu, L. (2002). Internet performance monitoring. Proceedings of the IEEE, 90(9), pp. 1592–1603. doi:10.1109/jproc.2002.802006 . Chen, T. and Hu, L. (2002). Internet performance monitoring. Proceedings of the IEEE, 90, pp. 1592–1603. Chen, T.M. and Liu, S.S. (2002). A model and evaluation of distributed network management approaches. IEEE Journal on Selected Areas in Communications, 20(4), pp. 850–857. doi:10.1109/jsac.2002.1003049 . Chen, T. (2002). Internet computing as a utility. IEEE Communications Magazine, 40, p. 10. Tran, H.V. and Chen, T.M. (2001). Theoretical network load limit when self-similarity has no adverse effect on the network. 2001 IEEE Workshop on High Performance Switching and Routing pp. 135–139. Chen, T. (2001). Increasing the observability of Internet behavior. Communications of the ACM, 44(1), pp. 93–98. doi:10.1145/357489.357514 . Chen, T.M. (2000). Evolution to the programmable Internet. IEEE Communications Magazine, 38(3), pp. 124–128. doi:10.1109/35.867845 . Chen, T. (2000). Evolution to the programmable Internet. IEEE Communications Magazine, 38(3), pp. 124–129. doi:10.1109/35.867845 . Chen, T. (1999). Reliable services in MPLS. IEEE Communications Magazine, 37(12), pp. 58–62. doi:10.1109/35.809386 . Chen, T.M. and Oh, T.H. (1999). Reliable services in MPLS. IEEE Communications Magazine, 37(12), pp. 58–62. doi:10.1109/35.809386 . Chen, T., Yamanaka, N., Oki, E. and Hasegawa, H. (1998). User-programmable flexible ATM network architecture, Active-ATM. IEICE Transactions on Communications, E81-B(11), pp. 2233–2236. doi:10.1109/ISCC.1998.702480 . Chen, T., Liu, S., Procanik, M., Wang, D. and Casey, D. (1998). INQIRE: a software approach to monitoring QoS in ATM networks. IEEE Network, 12(2), pp. 32–37. doi:10.1109/65.681927 . Yamanaka, N., Oki, E., Hasegawa, H. and Chen, T.M. (1998). User-programmable flexible ATM network architecture, active-ATM. IEICE Transactions on Communications, E81-B(11), pp. 2233–2236. Chen, T.M., Liu, S.S., Procanik, M.J., Wang, D.C. and Casey, D.D. (1998). INQIRE: a software approach to monitoring QoS in ATM networks. IEEE Network, 12(2), pp. 32–37. doi:10.1109/65.681927 . Chen, T.M., Liu, S.S., Wang, D., Samalam, V.K., Procanik, M.J. and Kavouspour, D. (1996). Monitoring and control of ATM networks using special cells. IEEE Network, 10(5), pp. 28–38. doi:10.1109/65.539858 . Chen, T., Liu, S., Wang, D., Samalam, V., Procanik, M. and Kavouspour, D. (1996). Monitoring and control of ATM networks using special cells. IEEE Network, 10(5), pp. 28–38. doi:10.1109/65.539858 . Chen, T.M., Liu, S.S. and Samalam, V.K. (1996). The available bit rate service for data in ATM networks. IEEE Communications Magazine, 34(5), pp. 56–71. doi:10.1109/35.492973 . Chen, T., Liu, S. and Samalam, V. (1996). The available bit-rate service for data in ATM networks. IEEE Communications Magazine, 34(5), pp. 56–71. doi:10.1109/35.492973 . Chen, T. and Samalam, V. (1995). Time-dependent behavior of fluid buffer models with Markov input and constant output rates. SIAM Journal on Applied Mathematics, 55(3), pp. 784–799. doi:10.1137/S0036139992240103 . Chen, T., Messerschmitt, D. and Walrand, J. (1994). Parameter estimation for partially observed queues. IEEE Transactions on Communications, 42(9), pp. 2730–2739. doi:10.1109/26.317414 . Chen, T. (1994). Management and control functions in ATM switching systems. IEEE Network Magazine, 8(4), pp. 27–40. doi:10.1109/65.298161 . Chen, T., Messerschmitt, D. and Walrand, J. (1989). Dynamic priority protocols for packet voice. IEEE Journal on Selected Areas in Communications, 7(5), pp. 632–643. doi:10.1109/49.32327 . Chen, T. (1989). On the independence of sojourn times in tandem queues. Advances in Applied Probability, 21, pp. 488–489. Chen, T. and Messerschmitt, D. (1988). Integrated voice/data switching. IEEE Communications Magazine, 26(6), pp. 16–26. doi:10.1109/35.457 . Chen, T., Arps, R. and Staelin, D. (1987). Information content analysis of Landsat image data for compression. IEEE Transactions on Geoscience and Remote Sensing, GE-25(4), pp. 499–501. doi:10.1109/TGRS.1987.289862 . Chen, T. (1986). Lossless, grey-scale image compression, based on reduced parameter model and coder. IBM Technical Disclosure Bulletin, 29(10), pp. 4683–4684. Chen, T. (1986). A new era in telephony. California Engineer, 65, p. 4. Chen, T. (1984). Videotex in the U.S.: a technology searching for a market. New England Computer Advertizer, 1, p. 6. 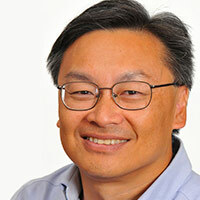 Senior technical editor, IEEE Network, 2012- 2013 (formerly editor-in-chief 2009-2011). Associate editor, Int. J. of Digital Crime and Forensics, 2008-present. Advisory board member and associate editor, J. on Security and Communication Networks, 2007- present. Editor, Int. J. of Security and Networks, 2007-present. Former editor-in-chief, IEEE Communications Magazine, 2006-2007. Founding editor-in-chief, IEEE Communications Surveys, 1996-1997. Former associate editor, ACM Transactions on Internet Technology, 2001-2004. Former technical editor, IEEE Press Books, 2007-2009.. Classification of traffic flows into QoS classes by unsupervised learning and KNN clustering. Weihai, China (2011). Studying Non-intrusive Tracing in the Internet. Houston, US (2010). Spam e-mail detection and classification: a Bayes/empirical Bayes approach. Denver (2008). Description: C. Chen, T. Chen, R. Sethi, ASA Joint Statistical Meeting 2008, August 3 - 7, 2008. Authentication in SIP using Identity based signature scheme. Gaithersburg, Maryland (2008). Description: Harsh Kupwade Patil, Thomas M. Chen, Dean Willis, Nhut Nguyen, NIST workshop on Applications of Pairing-Based Cryptography: Identity-Based Encryption and Beyond, June 3 - 4, 2008. A survey of current research in active and programmable networks. Chicago, IL (2008). Description: T. Chen, Korea-US Science and Technology Symposium, April 23, 1998. Data mining in a phishing attack repository. Orlando (2006). Description: D. Sames, G. Tally, T. Chen, C. Colleran, D. Jevans, R. Rassmusin, K. Omiliak, APWG eCrime Research Summit. HEAF: a novel estimator for long-range dependent self-similar network traffic. St. Petersburg, Russia (2006). Description: K. M. Rezaul, A. Pakstas, R. Gilchrist, T. Chen, 6th International Conference on Next Generation Teletraffic and Wired/Wireless Advanced Networking, May 29 - June 2, 2006. Protecting networks from distributed denial of service attacks using IP traceback. Dallas, Texas (2002). Description: D. Santhakumar, T. Chen, 2002 IEEE Emerging Telecommunication Technologies Conference, Sept. 23-24, 2002. Fast self-healing ATM networks by adaptive selection of backup virtual paths. Mont Tremblant, Quebec. (1998). Description: T. Oh, T. Chen, Symposium on Planning and Design of Broadband Networks, Oct. 8-11, 1998. Active-ATM: user-programmable flexible ATM network architecture. Atlanta, GA (1998). Description: N. Yamanaka, E. Oki, H. Hasegawa, T. Chen, ICC’98 Workshop on Active and Programmable Networks, June 11, 1998. Self-similar traffic over ATM ABR service. Lowell, Massachusetts (1996). Description: M. Procanik, S. Liu, T. Chen, V. Samalam, G. Benke, S. Dastangoo, G. Miller, 2nd Technical Conference on Telecommunications R&D in Massachusetts, March 12, 1996. In-service monitoring of QOS in ATM networks. Online (1995). Description: T. Chen, S. Liu, V. Samalam, poster in online proceedings (http://info.gte.com/ieee-tcgn/conference/gbn95), Gigabit Networking Workshop, April 2, 1995. Fluid buffer models with Markov input and constant output rates. (1992). Description: T. Chen, V. Samalam, presented at 2nd ORSA Telecommunications Conference, March 9-11, 1992.